Happy Tea For Two-sday everybody! Pick up your favorite teacup and let me pour you a cup of tea. Now you just relax for a few minutes! Do you ever buy tea as an impulse purchase? 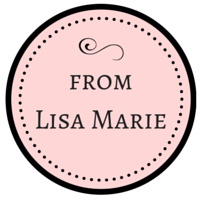 Are you always seeing new flavors of tea that you would like to try? Well that is a tough thing for me. I want to try all sorts of tea flavors, however you may have seen before that I really don't need any tea for a while! I've seen this tea flavor before. I saw it again the other night in Whole Foods and it was even on sale! Sigh - but I still don't actually need it. And even on sale, it's kind of a high price to pay just to try out a new flavor. Sounds yummy though! 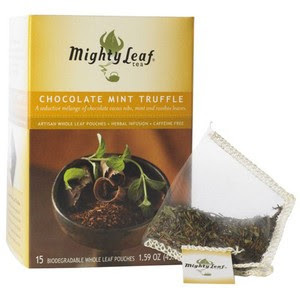 Have you ever tried Mighty Leaf's Chocolate Mint Truffle tea? I'm sure someday I'll come up with extra fun money to buy it or a really good justification why I should spend that much on a few teabags - LOL! How much are you willing to spend on a box or tin of teabags? Which reminds me - there was a tin of tea that was also too expensive, but the flavor was tempting me - Carmelized Pear! Have a wonderful Two-sday and enjoy your cup of tea! 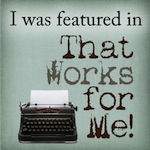 That tea sounds like the tea that I bought when I did the guest post for you. Just buy that! LOL Of course that was still a little more pricey then the other teas. Oh well! What's a gal to do? Big I buy tea and then end up drinking coffee instead but it's there for when you finally come over size hugs to you! That sounds yummy! Maybe you should do a taste test for us and then a give away! I'll have to look for that! I have a whole shelf in my cupboard PLUS a tea chest (with little partitions for individual types) full of tea of different kinds - real, decaf, herb ...... And NO -- after the initial first cup, I never go back to them. I still to what I usually drink and alternate with a cup of Earl Grey or English Breakfast occasionally. So, I've given up on buying tea; but I'm still tempted by them and their exotic names. 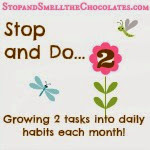 I do have a chocolate tea at home -- it's not worth it though. I'd rather spend my money on the chocolate itself and drink my tea with it! Happy hunting! You always find such lovely teas! I too am a sucker for tea that is on sale- even if I don't need it! :) My downfall would be if I found Yogi Tea's Sweet Tahi Delight. It looks scrumptious!! !